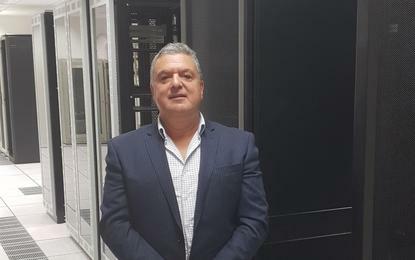 Michael Cefai has been appointed to the recently created role of vice president of sales for hosting solutions provider ManageNet. Headquartered in Sydney, ManageNet was established in 2003 and also operates from Melbourne with Cefai's appointment part of the company's plan to expand both nationally and internationally. Privately owned, ManageNet provides hosting solutions for enterprise customers with a focus on managed services and compliance. Cefai brings almost 30 years of industry experience to the role - he worked for hardware vendor Acer for 22 years before being appointed Dataflex's southern regional manager. Leveraging partnerships with Dell EMC, Microsoft, Oracle and VMware, ManageNet manages and runs its own data centre facility in Sydney and its Victorian data centre is located in the Equinix facility – formerly Metronode's Derrimut. "By utilising our geographically diverse data centre foot prints we can offer highly available solutions including business continuity and disaster recovery capabilities," Cefai told ARN. Cefai will be responsible for growing ManageNet's top 100 ASX incumbent account base and significantly grow new business. In addition, he is also in charge of growing the sales team and the business as well as aligning partnerships with Lenovo, Acer, Google HDS, Samsung and other vendors in order to further evolve ManageNet's infrastructure-as-a-service.